What ever happened to the "advanced civilization gone barbaric" story? It used to be a mainstay of science fiction: the story where we visit a barbarian society that turns out to have been highly technologically advanced in the past. You saw this story all the time on Doctor Who and Star Trek, and in the pulps. And now, it's more or less vanished. What happened? As the 19th century turned into the 20th century and archeologists started to press deeper in to the jungles of Central and South America and into the deserts of Mesopotamia and India, they began to encounter clear evidence of many civilizations that had attained some level of technological greatness. You look around at these places and you see the living descendants of these people living without the incredibly sophisticated caliber of technology that their forebears had invented. I think it's a very haunting, stark memento mori for a representative of any civilization. So what happened? I have two theories. First, these stories were about colonialism, and that they thrived during and immediately after the colonial era. Part of the wish-fulfillment aspect of the "fallen into barbarism" story isn't just the puzzle-solving of realizing that this apparently backward society was once advanced — it's also getting to be the clever white person (usually white guy) who understands the natives' own history better than they do. The European visitor who figures out that the idol all the natives are worshipping is really a computer, or that all of their ancient myths are actually about spaceships or whatnot. And maybe we're a little less comfortable being overtly triumphalist in our depictions of race and cultural interaction, and a little less happy to celebrate the idea of the white explorer who visits other peoples and tells them how best to interpret their own cultures. But a second theory is that the "foreign culture that has fallen into barbarism" story has largely been replaced by the post-apocalyptic story, in which it's our own civilization that's fallen. 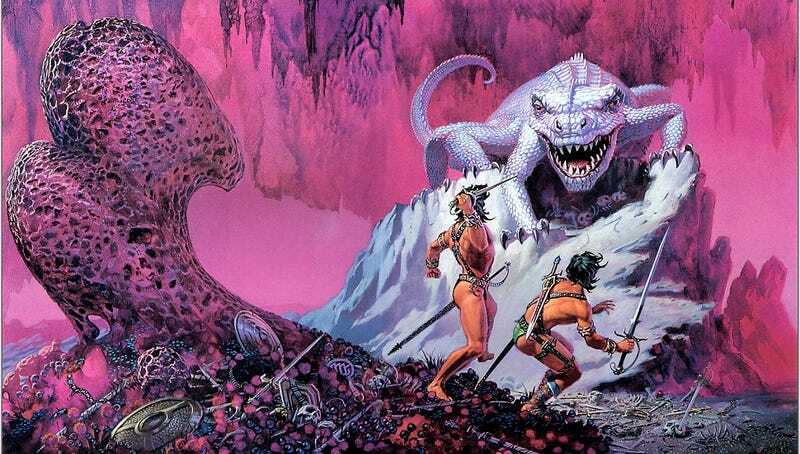 There's not that much difference between how Edgar Rice Burroughs treats the forgotten greatness of Barsoom and how, say, Revolution treats America's former technological and political prowess. It's just that as America (and other Western countries) have appeared more fallible on the world stage and weaker economically, it's harder to imagine us striding triumphantly through the scene of other people's former greatness — and easier to imagine striding through our own ruins.